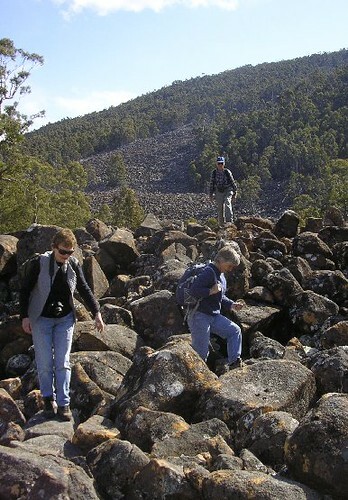 From The Springs on Mt Wellington, along Milles Track to Disappearing Tarn, and return. 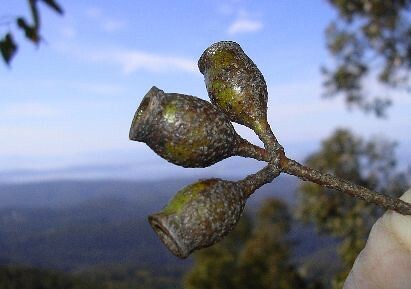 The urn shaped gumnuts of Eucalyptus urnigera. 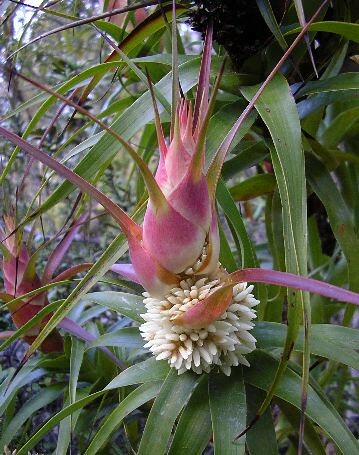 Spectacular flowering spike of Richea dracophylla. 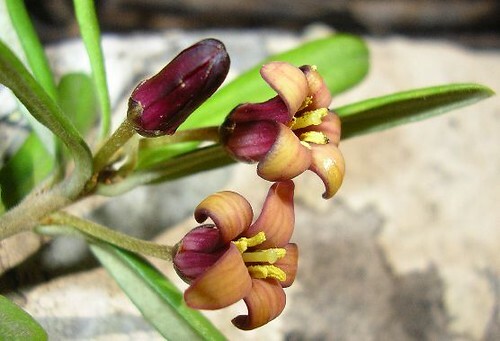 Brachyglottis brunonis is limited in range to Mt Wellington and a couple of adjacent mountains. 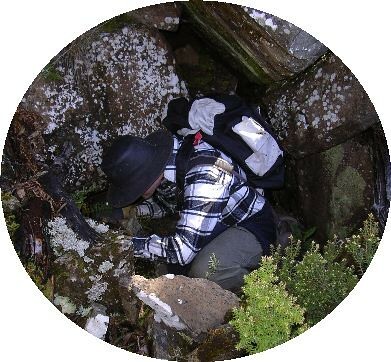 The club's malacologist, Kevin Bonham, at work searching for land-snails in among the boulders of a vegetated scree-slope. 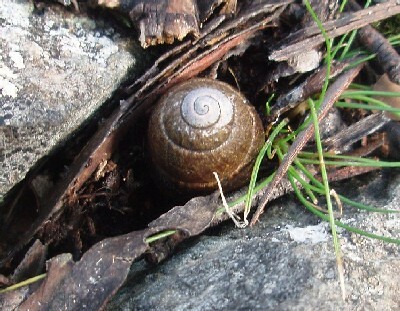 Caryodes dufresnii, the most noticed and largest native Tasmanian land snail. 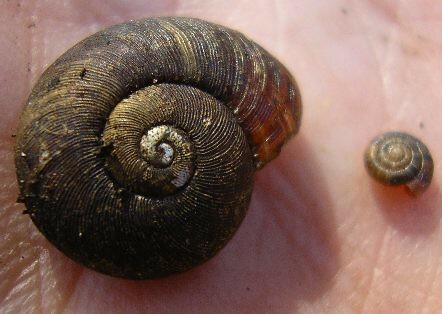 A rare Silky snail Roblinella agnewi, all of 2mm across. A mite just happened to run past! 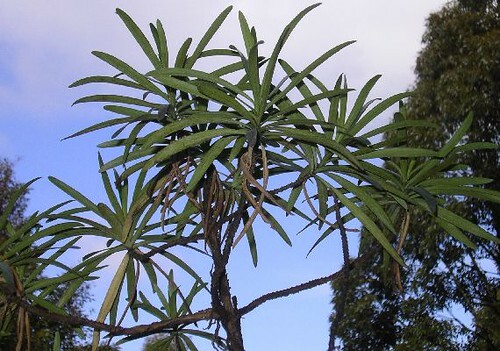 This highly carnivorous Tasmaphena sinclairi was found suspiciously close to the diminutive R. agnewi. Clambering down the dolerite scree slope into Disappearing Tarn.